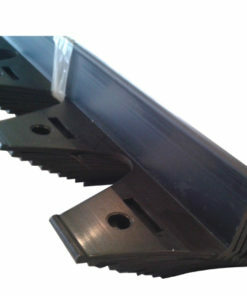 Paver edging provides rigid edge restraint for all your interlocking and paving stone needs : patios, walkways, driveways etc. Lightweight and flexible. 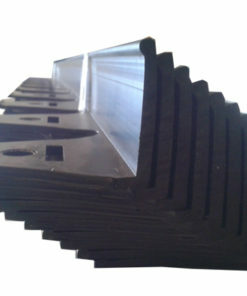 It is easy to use, well suited for curves or straight lines. 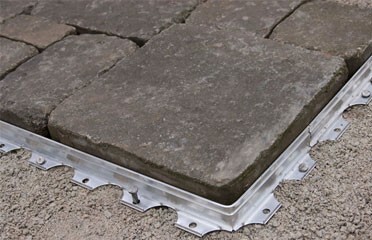 Complete with a reversible design, paving stone can be installed on either side of edging. Use aluminum paver edging to prevent movement and shifting of pavers and keep your project looking its best for years and years to come! 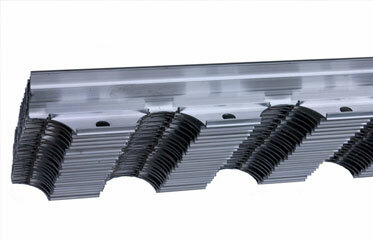 “Easy Slide” connectors join pieces together providing rigid support when joining one piece to another. – “Easy Slide” connectors join pieces together.